Are you looking to add faceted search to your enterprise, e-commerce stors or website? Kaleidosearch offers an easy-to-deploy, customizable and cost-effective solution. 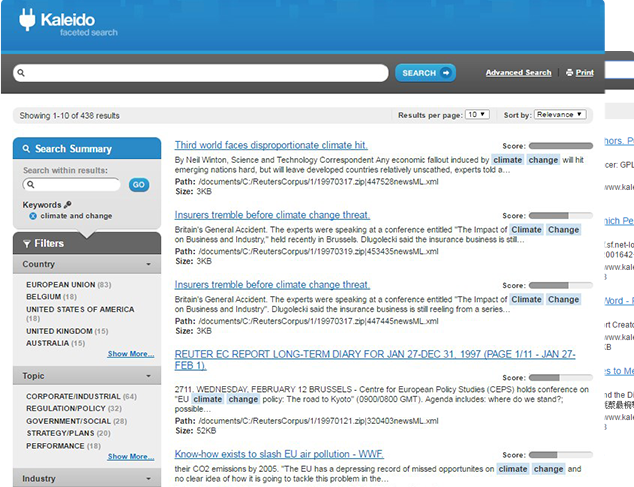 With Kaleidosearch, faceted search no longer needs to be an expensive and complicated feature to implement. Our SDK comes already configured for use with dtSearch and Solr. We also include an award-winning user interface including source code that you can customize.